Every municipality with law enforcement officers will trade out the vehicles driven by those officers on a relatively frequent basis. These vehicles will be stripped of any law-enforcement equipment and are then usually put up for auction – often through sites like Copart.com. * They’re well-built. 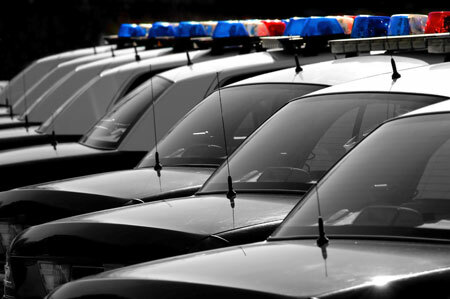 Police cars tend to be beefed-up versions of traditional models. The modifications might include a stronger suspension, larger engine or stronger electronics. When cities are finished using the vehicles, these upgrades often stay with the vehicle when it is auctioned. * They’re well-maintained. Officers rely on these cars to work – at all times. They might be called upon to drive at faster speeds. They might need to get through all types of weather. Because of this, cities keep their law enforcement vehicles under strict maintenance schedules. Depending on the municipality, some of the law enforcement cars sent to auction may have relatively low mileages if the city chooses to replace vehicles on a more frequent basis. * They have great replacement parts – If you are repairing a vehicle, former police cars are a great place to look for parts you may need. Because they’ve been well maintained, you have a good chance that the parts you need are in good shape. * They’re less expensive – Municipalities aren’t trying to make money off selling their former law enforcement vehicles. You may be able to find a deal. Like any car at auction, it’s always a good idea to check over each vehicle you’re interested in purchasing carefully, so you know exactly what kind of car you are bidding on. Visit Copart.com to check out all the vehicles currently up for auction, including former police cars.